Pilots touching down at Indian airports in adverse weather conditions always worry about overshooting the runway which, like in Saturday’s incident at Mangalore, could prove disastrous. The Mangalore International Airport, where an Air India Express flight crashed Saturday killing nearly 170 people, opened in 1951 as the Bajpe Aerodrome when then Prime Minister Jawaharlal Nehru arrived on the maiden flight. Air Marshal PK Borbora, Vice-Chief of Indian Air Force (IAF) and an experienced fighter pilot, today said he did not agree with the theory that the new runway of the Bajpe Airport in Mangalore had anything to do with the tragic crash of Air India Express flight from Dubai in the airport yesterday. Air India today announced an interim compensation of Rs 10 lakh to the next of kin of those aged above 12 killed in its plane crash here and Rs five lakh for those below that age pending final settlement of insurance claims. The first part of the government compensation for the families of the passengers who died in the Air India plane crash in Mangalore yesterday is likely to be announced soon.As officials were in discussions with various agencies to study the Aircraft Act and the Montreal Convention regarding the compensation package, the government may announce an immediate package of Rs 10 lakh. The crash of the Air India Express plane piloted by a Serbian national has put the focus back on whether foreign or expatriate pilots employed with various Indian air carriers, are able to operate comfortably in a country like India. HS Ahluwalia, co-pilot of the ill-fated Air India plane who perished in the air crash here, could have become a Commander pilot by this month end, enabling him to fly a plane on his own.Alhuwalia, who had 3,750 hours of flying experience, was due for Commandership this month, Arvind Jadhav, Air India Chairman and Managing Director, said. The 2009 general elections were an exception as it was the only time that the Congress-led UPA leadership sought votes in the name of a person who did not belong to the Nehru-Gandhi clan. This man, Prime Minister Dr Manmohan Singh, was certainly a decisive factor in North India in general and Punjab in particular. The Opposition - the BJP, CPM and SAD - seems largely dissatisfied with the ruling United Progressive Alliance-II (UPA) in its first year for their own reasons. The BJP, led by its two leaders in Parliament Sushma Swaraj and Arun Jaitley, will stage a sit-in here on Wednesday over the alleged failure of the UPA government which completed its one year in office in its second term on Saturday. Death of scores of bats, flying mammals, due to severe heat wave that lashed the North-West Rajasthan past two days has sent shock waves among the environmentalists and the NGOs which had been working for safety of birds and animals. The state pollution control board will issue a show-cause notice to the famous Oberoi’s Wildflower Hall hotel, near here, for polluting water sources of the villages located downhill. The return of economic normalcy may assure 9 per cent growth, but a couple of reforms, including bureaucratic, is required to achieve a sustainable 10 per cent expansion, says Chief Economic Adviser Kaushik Basu. Observing that the offence was committed in a fit of rage, the Delhi High Court has reduced to a five-year jail term the life imprisonment awarded to a man for killing his father four years ago. Spurred by fire incidents in the metropolis, firemen in the city will now turn actors and for the first time will be seen in street plays and theatres for creating awareness and endorsing ways to circumvent fire and techniques of fire safety. The Supreme Court may have declared brain mapping and polygraph tests on suspects as illegal, former IPS officer Kiran Bedi today said these were required to bring out truth from hardened criminals during investigation. Wildlife lovers and tourists would soon have a novel experience of exploring the Ranthambore National Park that is if the fresh proposals for managing the park get the nod of the authorities. Nearly four years after the 7/11 serial train blasts, the trial in the case is all set to resume tomorrow in a special MCOCA court here against 13 arrested accused, alleged to be members of the banned terror outfit SIMI. There was no let-up in the heat wave engulfing the northern belt today with Rajasthan’s Barmer being the hottest at 48.1 degree C.
In another twist to the Jharkhand imbroglio, JMM today asked all its MLAs to converge at Chief Minister Shibu Soren’s residence tomorrow for the legislative party meeting. “We have asked all party MLAs to attend the JMM-LP meeting at the party president’s residence to discuss the present political situation,” JMM-LP leader Hemant Soren said here. Who says our netas are not conscious about health and fitness. While some MPs like Rajiv Pratap Rudy and Sandeep Dikshit are often spotted working out at the fancy new gym set up at the renovated Constitution Club, a motley group of politicians and officials collects every morning at 86-year-old Ram Jethmalani’s Teen Murti bungalow for a bracing game of badminton. Two poachers were nabbed today by a joint team of the police and forest guards in stepped up operations against paoching in the world-famed Kaziranga National Park. Six Trinamool Congress supporters were injured in a clash between two factions of the party at Khejuri in East Midnapore today. Dalal Street is expected to remain volatile this week ahead of derivative settlement and on weak global sentiments, although the truce between the Ambani brothers may have overall positive fallout. While the Mangalore airport with its table-top airstrip atop a hill does not have adequate space for an aircraft to overshoot the runway, similar problems persist elsewhere in the country as well. Pilots speak of the Trivandrum airport which is built on land reclaimed from the sea. “If an aircraft is to overshoot the runway, it would surely fall into the sea,” says a pilot attached to the Indian Commercial Pilots Association. 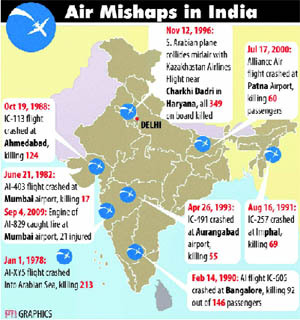 Incidents of aircraft skidding off runways are not new in India though a mishap of today’s magnitude was long waiting to happen. Some years ago, a Jet Airways aircraft descending at the Indore’s Ahilyabai Holkar airport in blinding rain could not slow down and overshot the runway. Several passengers were injured. In another incident, an aircraft belonging to the former Sahara Airways overshot the runway at the Mumbai airport and landed in the slush ahead. Had the aircraft not come to a stop due to slush, it would have crashed into a cluster of slums just metres away. While the runway at the Mumbai airport is long enough, the location of an abandoned control tower building close to it has rendered it partially unusable. In some cases, political pressure has prevented runways from being made lengthier. The runway at the Patna airport is reportedly just 6,411-foot-long. Land required to lengthen the runway is under Lalu Prasad Yadav’s possession, according to reports. On the other hand, the runway at the Pune airport in possession of the defence authorities cannot be extended because of the city growing right up to the periphery of the airport. The airspace over the city and its vicinity is among the most turbulent in the country. "Travel to Mangalore is actually scary. I have experienced some major turbulences and drops," said G. Ganga, who often takes a flight to the city from Chennai to visit pilgrim centres nearby, including Sringeri. "At times, the way the aircraft rattles, it makes you feel really awkward -- like weightlessness. You just grab your arm rest tight and pray," said Ganga. In June 2006, Prime Minister Manmohan Singh had to cancel an event for laying a foundation stone for a $1.06-billion project of the Mangalore Refinery and Petrochemical Ltd as his aircraft could not land there due to bad weather. The airport's take-off and landing strip is often called a "table-top runway" as it is located on top of a hill. The drop, within 500 meters at the end of the runway, is steep and pilots have often considered landing here difficult. “The planes have been landing here daily. If there was a problem with the runway, a crash would have taken place long back. I do not agree with this theory”, Borbora told reporters here on the sidelines of a function. The Mangalore Airport is located on top of a hill, with the landing approaches of the original runway leading up to the extreme edges of the hill and hence has been christened as a “table-top runway.” Earlier, the runway was also short (5,000 ft) and landing on it was considered difficult. The new international length (8,000 ft) runway was commissioned in May 2006. Though the new airstrip was longer than the original runway by about 3,000 ft, it, too, retained the characteristics of a table-top runway. Following the crash yesterday, in which the plane overshot the runway and tumbled down into the valley, fingers were pointed at the runway, which, many said, was the root cause of the crash. 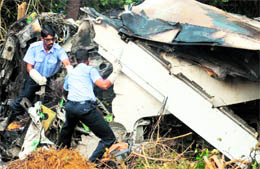 But Borbora and at least four other senior pilots - who work with various commercial carriers and all of whom have the experience of landing on the Mangalore airport - dismissed the theory that the crash had resulted from the tricky nature of the runway. “I have landed on the runway on at least 150 occasions. It is long enough for landing by a Boeing 737-800. The previous runway at Mangalore was short and one had to apply the brake very early to bring the plane to a halt. But the new runway is absolutely fine”, Captain Girish Kaushik, a Jet Airways pilot, said.Kaushik said pilots landing on the new runway also have the advantage of being aided by Instrument Landing System (ILS). The ILS helps the aircraft to remain at the centre of the runway and not veer toward right and left, he said. Captain D Balaraman, also a pilot with the Jet Airways, told this reporter that the length of the runway was not an issue at all with regard to the crash of the Air India Express flight from Dubai to Mangalore. 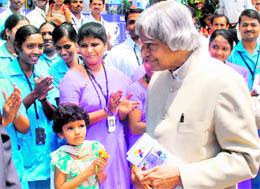 “I have landed a number of times on the old runway at Mangalore which was much shorter than the new runway”, he said. Captain RS Shekhawat, a pilot with Spicejet, said even a 6000 ft runway was good enough for landing by a Boeing 737-800 aircraft. “I fly the same plane”, Shekhawat said and added that he had landed in Mangalore on many occasions. “I landed on the old runway which is smaller than the new runway. The new runway is even better”, he said. “The runway at the Jammu airport is much smaller than the new runway at Mangalore”, he said. Dismissing difficulties said to be posed by table-top runways, Shekhawat said he had flown planes in Europe where some of the runways are stretched up to the sea. The injured would get Rs 2 lakh, Air India chairman and managing director Arvind Jadhav told reporters here. The compensation, over and above the one announced by the Prime Minister, would be distributed in the next four days, he said. He said the extent of interim compensation was arrived at by insurance firms (Reliance Insurance and General Insurance) and Air India. Jadhav said Air India would file claims with the insurance companies, which would decide the compensation depending on factors such as the nature of the accident, nationality of the passenger, report of air safety and passenger’s occupation. “That (final) compensation will be adjusted with this (interim) compensation (announced today),” he said. 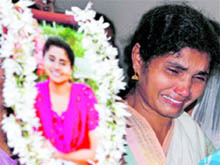 PM Manmohan Singh has already announced Rs 2 lakh compensation to each crash victim's family. However, his party colleagues from Kerela have sought a higher compensation.Meanwhile, Civil Aviation Minister Praful Patel has said the airlines will give up to USD 1,60,000 (about Rs 72 lakh) to the family members of each victim, as per the provisions of the Carriage by Air (Amendment) Act. Under this Act, which has been amended as per The Montreal Convention, kin of each victim is entitled for up to one lakh special drawing rights (SDR), which as per the present exchange rates is worth about USD 1,60,000 (Rs 72 lakh). Karnataka CM BS Yeddyurappa has also announced Rs 2 lakh as relief to each of the families of the 158 persons killed. Notably, Indian commercial pilots have been demanding that expat pilots be asked to return as they were occupying vacancies that could be used to employ large number of unemployed pilots in the country. They say there is no shortage of pilots in the country and allege that the deadline for removal of the expats is continuously being extended due to pressure from airline companies. A couple of months back the government extended the time-frame for phasing out foreign pilots employed by Indian carriers following demands by Air India and other airlines from June 2010 to July 2011. However, Air India recently wrote to the Directorate General of Civil Aviation (DGCA), saying that it would not be able to meet the deadline of July 2011 to phase out its expat pilots as it needs them to fly the new aircraft the ailing airline is acquiring. There are around 550 expat pilots currently employed with different airlines in India out of the total 5,500 Indian civilian pilots. While Air India has around 250 expat pilots, the low cost carrier operated by the national carrier-Air India Express- has 125 foreign pilots. “His death was a shock to us. He was not a raw pilot, an untrained pilot. He was due for Commandership this month,” Jadhav said. He not only campaigned on demand in Punjab but also raised expectations of the people of the state after the UPA government secured its second term. On getting his second term in office as Prime Minister, he gave adequate representation to the region in his Council of Ministers. Never before had almost every fifth MP from the region made a minister. But after a year in office, has this big team of Union ministers been able to live up to the expectations of the electorate of the North? Major issues that needed the central government’s immediate intervention not only veered around water and power supply but also around inflation, agriculture, growing debt of farmers, poor development of border areas, and demand for extension of tax holiday to hilly states of Himachal Pradesh and Jammu and Kashmir. Incidentally, the only minister from the region to hog headlines has been Union Sports Minister Manohar Singh Gill. He not only straightened out matters pertaining to preparations for the Commonwealth Games to be held later this year after the IOA chief and the visiting Commonwealth Games chief had a spat some time back but also played an important role in the successful conduct of the 2010 World Cup Hockey Tournament. Now, he has taken upon himself the onerous task of cleansing the Indian Olympic Association as well as the National Sports Federations by enforcing guidelines that were originally issued in 1975. These guidelines limit terms of office-bearers besides setting their retirement age. Another important achievement has been a concerted move to free Indian sports of the malaise of drugs or doping. Other than sports, a sensitive issue that continues to haunt the UPA government has been punishing of the guilty of the 1984 anti-Sikh carnage. This figured prominently in both the Houses of Parliament. The attacks in Australia on Indian students in general and Punjabis in particular and 17 Indians, including 16 Punjabis, facing death penalty in Dubai, are other sensitive issues that have been keeping ministers from Punjab, including Minister of State for External Affairs Perneet Kaur, on their toes throughout the year. Union Information and Broadcasting Minister Ambika Soni remains more busy in briefing media about the Cabinet decisions than visiting her constituency as frequently as her fellow MPs do.She is all set to get another term in Rajya Sabha. Little has been done to mitigate the suffering of debt-ridden farmers of the region. Food security may have prompted the Union as well as the state governments to maintain production levels in spite of natural and unnatural calamities and vagaries, but nothing tangible has been done to mitigate the sufferings of the farming community. Problems of the border districts remain unresolved. Allotment of Indian National Defence University to Gurgaon may have brought cheer to Haryana but at the cost of displeasure and resentment in Punjab. Punjab had been after the proposed university ever since the last NDA Prime Minister Atal Behari Vajpayee announced a defence institute to the historic Sri Anandpur Sahib at the 1999 tercentenary celebrations of the Khalsa. Farooq Abdullah and Ghulam Nabi Azad, formerly Chief Ministers of Jammu and Kashmir, may not have much to tell their electors back home for their first year achievements. They both head important departments. Ghulam Nabi Azad is the Health Minister while Farooq Abdullah heads a new and important department of new and renewable sources of energy. Anand Sharma, the Union Commerce and Industry Minister, may be technically switching his loyalty from Himachal Pradesh to Maharshtra for his re-election to Rajya Sabha in a few weeks time. Because of strong protests from states like Punjab and Haryana, the special hill states package given to J&K, Himachal, Uttarkhand by the last NDA government, may not be easy for him to get it extended beyond 2010. Virbhadra Singh, the Union Steel Minister, has remained more occupied with his home state politics than making a mark in national politics. Pawan Kumar Bansal, who handles Parliamentary Affairs and Central Waterworks, has been successful in getting one of the Punjab projects - Shahpur Kandi, included in the list of 14 projects that are to be centrally funded. Water is a sensitive issue and Punjab is opposed to the idea of interlinking of rivers. The CPM is the most aggrieved lot from the outcome of the last general elections and has been nursing a grudge against UPA-II for having come up trumps after breaking away from the Left. General secretary Prakash Karat has, therefore, been more scathing against UPA-II. He has ridiculed the Congress for running the coalition without a Common Minimum Programme, adding that it failed to tackle the spiralling price rise. “The first year of the UPA government has seen the IPL affair, the 2G spectrum allocation scam and the mining scandal of the Reddy brothers. All this can be directly sourced to the nexus between big business and ruling politicians,” he said. The BJP’s criticism was comparatively quite tempered down during the first few months after the defeat of 2009, it was busy quelling in-house fires. It seemed sobered by the people’s repeated mandate against it and promised to play the role of “constructive opposition”. In keeping with this spirit, then Deputy Leader of Opposition Sushma Swaraj, now Leader of Opposition in Lok Sabha, egged the government on to pursue economic “reforms” more vigorously in her commentary on last year’s Economic Survey. But this did not last very long. Come July and Prime Minister Manmohan Singh’s visit to Sharm-el-Sheikh and his attempt to resume dialogue with Pakistan, and the BJP reverted to its agenda, attacking the UPA government for being soft on jihadi terror. It ran a campaign against Chief Election Commissioner Navin Chawla, soon as its nominee N Gopalaswsami was about to retire. Today the BJP has many a bone to pick with UPA-II as Leader of Opposition in the Rajya Sabha Arun Jaitley puts it. He has mentioned the uneasy relationship UPA-II has with Lalu Prasad (RJD), Mulayam Singh Yadav (SP) and Mayawati (BSP). Jaitley’s latest broadside against the government is on the Dantewada massacre, unmindful of the fact that law and order is a state subject and the Union Home Minister has only a “limited mandate”. The Shiromani Akali Dal (Badal) being essentially a regional party restricted to Punjab, its politics has all along remained confined to Sikh issues. The party is now led in Parliament by Bathinda MP Harsimrat Kaur, daughter-in-law of Chief Minister Parkash Singh Badal and wife of Deputy Chief Minister Sukhbir Singh Badal. Every time she has spoken, it is about the 1984 anti-Sikh riots. In effect, her strategy has been pretty uncomplicated. Soon after being elected, Harsimrat Kaur saw an attempt to brush under the carpet the cases against Jagdish Tytler and Sajjan Kumar, accused of fomenting those riots. During the one-year tenure in Parliament, she addressed the media twice in the company of her senior NDA partners. Shrikant Sharma, convener of the media cell of the BJP, said the two leaders would address a gathering at 11.30 am on the government's "failure" on issues like price rise, corruption, terrorism, Maoist violence and unemployment. Jaitley is the leader of the Opposition in the Rajya Sabha and Swaraj is the leader of Opposition in the Lok Sabha. Incidentally, Prime Minister Manmohan Singh is scheduled to address a press conference tomorrow to mark the UPA government’s one year in office in its second term. The BJP has accused the government of failing to provide economic and social security to the poor. The party has also demanded the resignation of Communications and Information Technology Minister A. Raja, alleging that his decisions on 2G spectrum allocation had caused a huge loss to the exchequer. Their population had been on decline due to wild spraying of insecticides by the farmers and the survivors had been finding shelter over the trees. But it is unfortunate that the fresh heat wave was heaving their toll now. "To hold on to 9 per cent (economic growth), there are a couple of things — get back to business as usual, push up savings, etc. (For) 10 per cent sustainable (growth), you do need a couple of measures but these are not asking for the skies," Basu said. "Bureaucratic reforms. You do want a more efficient decision-making system in the government. 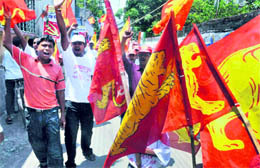 If you can manage to work on that alone, 10 per cent (economic growth) is achievable," Basu said. India had a cumbersome decision-making system when it came to enterprise and business, he said, adding that it took too long to give the green signal to an enterprise to flourish for a firm to close down and a contract to be enforced. The court also altered the charge against accused Arshad from murder to culpable homicide not amounting to murder. According to the prosecution, on March 3, 2006, Arshad had hit his father with a 'sil batta' (grinding stone) when he saw him abusing his mother, which led to the death of the victim at their home in the Sarai Rohilla area here. Firemen will perform street plays to stress on the importance of fire-safety equipment maintenance. Street play — 'Paagal', is a brain child of Chief Fire Officer Uday Tatkare, the ideas was scripted into being by a group of firemen led by assistant station officer UK Bhagat. "It has become important for us to inform people about precautionary measures. Instead of giving lectures, showing presentations and others, we thought doing street plays and theatres would make things more catchy and interesting," Tatkare said. The Mumbai Fire Brigade intends to stage about 100 plays in a year. The plays will hit the city by May 26. The first will be held at a Gymkhana near NM Joshi Marg in Chinchpokli, followed by Yashwant Natya Mandir in Matunga in central Mumbai. Bhagat, who has penned the script said, "Many a times, people do not realise that they can prevent fire if they take precautionary measures. Like, before leaving the house if they leave a little space for ventilation then the intensity is reduced substantially." Delivering a lecture on Gandhian model of policing at a seminar organised by an NGO here, Bedi said, “The order of the apex court is bound to cause strong hardship to the investigating agencies across the country, including CBI.” She said the CBI chief has also opposed the order of the Supreme Court. Bedi said accused like Mumbai terror attack convict Ajmal Kasab and fake stamp scam convict Abdul Karim Telgi know how to fail a lie detector test. “Brain mapping test provides 100 per cent correct results and is the most effective tool today for investigating agencies,” she added. While the courts view the rights of the victims and also accused but it must also consider problems of the investigating agencies, she averred. The first woman IPS officer said policemen should not “bow” to external pressure in investigation of a crime. She said the Gandhian model of policing does not mean being idealistic rather it means police officials must do their job with integrity and honesty in accordance with law. The fresh proposals will allow tourists to explore new territories inhabited by tigers, which have not been visited before. One of these proposals supports longer duration of excursions for tourists, which will boost their chances of tiger sightings. These proposals came up for discussion at a recent meeting of the standing committee for the Ranthambore Tiger project held in Sawai Madhopur. There have also been some key proposals regarding the time limit — to remove restriction on the time spent by tourists inside the park, to allow the park to remain open throughout the year and to open multiple routes instead of the existing one for the tourists thronging the wildlife destination. These proposals are aimed at not only easing the rush outside but also to facilitate round-the-year livelihood to the people dependent on tourism sector in the area. At present, tourists can stay inside the park for a maximum of three-and-a-half hours, irrespective of the fact whether they have sighted the tiger or not. However, now the idea is to allow a tourist to tour the park as per his wish and charge him for the additional time spent inside. If implemented, a tourist’s entry and exit timings would be registered to calculate the fee under the new system. The proposal to open more routes for tourists has already been accepted by the standing committee. The move will allow tourists to enter into the park through unexplored territories. The number of people who visited Ranthambore has gone up from 1.13 lakh in 2005-06 to over 2 lakh in 2009-10. Meanwhile, in a related development, the Forest and Tourism departments are planning to set up Interpretation Centres at Ranthambore National Park as well as Sariska Tiger Reserve, which will help tourists to get acquainted with these wildlife destinations before stepping into them. The plan regarding Ranthambore has already been submitted to the Union Ministry of Tourism. Though the park has a small interpretation centre at present, it is not properly maintained. However, the new centre will have a briefing place, information centre and showpieces highlighting flora and fauna of the park. The Supreme Court had in February 2008 stayed the trial, after one of the accused, Kamal Ansari, approached the court challenging the constitutional validity of a particular section pertaining to insurgency in the Maharashtra Control of Organised Crime Act (MCOCA). However, the SC this year on April 25 dismissed the petition and had vacated the stay on the trial. Temperature settled above the 45-degree mark in most parts of the desert state as Bikaner, Srigangangar and Jodhpur recorded a day temperature of 47.5 C, 47.1 C and 46.4 C, respectively. Delhiites had to bear with scorching heat as the maximum settled at 43.6 Celsius, three notches above normal, while the minimum was recorded at 30.7 C.
The weatherman has predicted no relief for the Capital, with the temperature likely to oscillate between 43 and 27 C.
The heat wave also prevailed in most parts of Punjab and Haryana where Hisar baked at 47 C, six degrees above normal, followed by Ludhiana 42.5 C and Patiala 42 C.
Amristsar recorded a day temperature of 41.7 C while it was 41.1 C each in Chandigarh and Ambala. He refused to comment whether the JMM would at last announce which way it would go. The development comes a day after the JMM said it was in touch with the Congress and all options were open including changing its alliance with BJP. Undeterred by his advancing years and a knee replacement operation , Jethmalani is a keen player and is known to have practiced his game with former badminton champion Amita Modi. Prithviraj Chavan, minister of state in the Prime Minister’s Office, is another regular. Chavan, who has charge of at least four ministries, manages to squeeze in the time despite his heavy workload. Haryana chief minister Bhupinder Singh Hooda also drops in whenever he is in Delhi, which happens to be quite often. Like Qutub Minar, India Gate, Rashtrapati Bhawan and 10, Janpath, New Delhi’s 24, Akbar Road needs little introduction. For over three decades, the building housing the Indian National Congress, has been hand-in-hand with contemporary history and politics. The Congress moved here in 1978 at a time when Indira Gandhi was out of power. Unlike the building today, there was acute shortage of fund, trained staff, telephones, food, vehicles and other resources. The enterprising Buta Singh, who was one the AICC general secretary , came to the rescue of the cash-strapped party. He used his friendship with Jagjit Singh of Tourist Taxi Service at Janpath to avail his fleet of cabs for use by AICC office bearers. Very often, Jagjit turned down Buta’s request to pay for his cabs. When Indira returned to power, she remembered Jagjit’s selfless services and gave him a ticket from an assembly segment near Chandigarh where Mohali township has now come up. This is among the series of interesting anecdotes narrated by Rasheed Kidwai, author of “ Sonia - A Biography” , in his yet-to-be released book aptly titled “24 Akbar Road”. Besides recounting the historic decisions taken here, the book also looks at the changing facade and structure of the building as symbolic of the fluctuating fortunes of the Congress. Telecommunications minister A.Raja was the cynosure of all eyes at last week’s Union Cabinet meeting. It was the same day that the 3G spectrum auction had been completed which fetched a bonanza of over Rs.60,000 crore for the government. Raja was congratulated by his colleagues and officials for this achievement but the minister himself did not look too elated. Now why does this not surprise anybody. Maybe, it is something to do with the recent allegations of corruption against Raja with regard to the allotment of 2G spectrum in which he is learnt to have favoured select business houses. A high-powered delegation, headed by external affairs minsiter S.M.Krishna is getting ready to leave for Washington to participate in next month’s expanded India-US strategic dialogue announced during secretary of state Hillary Clinton’s visit to New Delhi last year. Besides Krishna, others who will be attending the three-day meet include HRD minister Kapil Sibal, deputy chairman of planning commission Montek Singh Ahluwalia and Prithviraj Chavan, minister of state in the Prime Minister’s Office (PMO). Environment minister Jairam Ramesh’s name had figured in the original list but he is now said to have dropped out. The controversy-ridden Ramesh is due for a re-nomination to the Rajya Sabha and the next round of elections to the Upper House is slated for next month. In fact, the last date for filing nominations is June 1, the same day that the ministerial delegation is to leave for the United States.After his refent gaffe in China, Ramesh is on tenterhooks over his re-election as he is yet to get the final nod from the Congress leadership. Yet, he lives in hope, which probably explains the change in travel plans. Acting on a tip-off, the poachers were apprehended from Bhojmari area in the northern range of the park falling under Sonitpur district, officials said. SP Ashok Biswas said the six were hurt in a clash between two groups over some local issue at Kalagechhia locality and they have all been admitted to Contai Sub-divisional Hospital. Some market observers, however, were gung-ho on the truce, saying that scrips of both the groups -- RIL (Mukesh) and ADAG (Anil) -- are likely to spurt when the markets resume trade tomorrow. RIL has the maximum weightage in the benchmark indices on both the stock exchanges, the BSE and the NSE. "A positive reaction (to the truce) is expected in the share prices of the companies belonging to the two groups," SMC Capitals Equity Head Jagannadham Thunuguntla said. Striking a cordial note, the Ambani brothers today agreed to dump their differences and non-compete agreements, saying this would eliminate any room for further "disputes". "The markets are expected to open on a positive note on Monday tracking firm cues from US stocks, but the gain is unlikely to sustain as investors are cautious and overseas fund houses are continuously pulling the money," Geojit BNP Paribas Financial Services Research Head Alex Mathews said. Investor sentiments were weak as technical charts suggested staying away from fresh buying in the market, he added. During the week, companies like Tata Power, Canara Bank, GMR Infra, Hindustan Unilever, Bank of Baroda and PowerGrid are slated to announce their financial results.